Does the man on the right look like a cop to you? 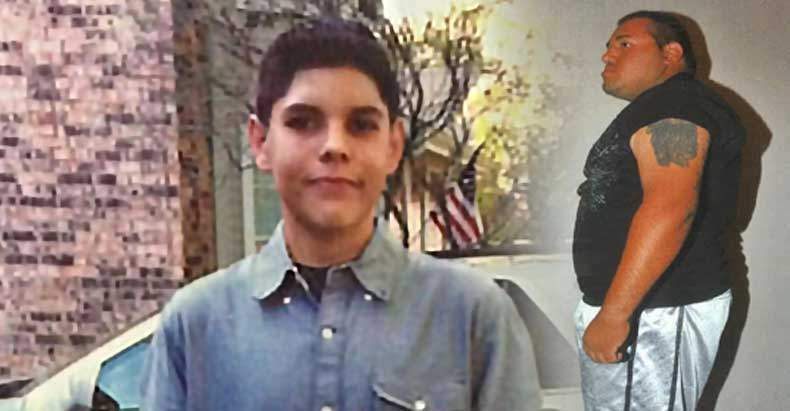 Navasota, TX – A grieving family is fighting to bring justice to the man who ruthlessly gunned down their son. Jonathen Santellana was 17 years old when he lost his life to Navasota police officer Rey Garza for suspicion of possessing pot. On November 13, 2013, Santellana was sitting in his car in a parking space at an apartment complex in Houston, Texas with his friend, Kalee Marsteller, also 17. Garza was off-duty, wearing basketball shorts and a sweatshirt when he decided to rush up to Santellana’s driver’s side window, brandishing a gun. Naturally, Santellana and Marsteller thought this deranged man was trying to rob them, so Santellana put the car in reverse to escape. Garza tried to open the door as Santellana began driving away. Garza, claiming that he feared for his life, then shot Santellana in the back of the head and back, killing him. Why did Garza commit this unprovoked attack on an innocent kid sitting in his vehicle? Santellana’s parents, Joey Santellana and Roxana Harrison, commissioned an expert in crime scene reconstruction to produce a new analysis, since the investigation undertaken by law enforcement was grossly insufficient. The report from Cam Cope, president of Auto Fire & Safety Consultants of Conroe, shows that Garza’s version of events “is not consistent with any of the factual evidence.” It is being submitted by Santellana’s family directly to a grand jury for the case to be reconsidered. A grand jury decided not to indict Garza in 2014, believing that he shot Santellana out of fear for his own life. Garza was acting as a “courtesy officer” for the apartment complex when he spotted Santellana holding something in his hands and grew suspicious. After crossing paths with Santellana, Garza went to his apartment and grabbed his gun. Garza then located Santellana in his car, and claims that he saw Santellana putting a green leafy substance into a prescription bottle. Garza felt that this behavior was cause for him to accost Santallana. Here is where the factual evidence contradicts Garza’s sworn testimony. However, the car was already running, and Garza was banging on the window with his gun and demanding that Santellana roll down the window, according to Marsteller. An eyewitness, Sheila Moreno, states that Garza did not identify himself as a police officer, nor did she say anything about Garza holding a badge. However, Moreno states that Garza was holding the gun with both hands. Garza’s holster was actually located on the front driver’s side windshield of Jonathen’s car. Marsteller states that Garza said he was a police officer only after Santellana had backed out of the space and began driving away. She also states that Garza did not begin shooting until after the car was moving forward. Moreno states that she saw the car driving forward when she heard gunshots. She saw Garza walk toward the car and fire an additional 3 to 5 shots. Seven empty bullet casings were found in the middle of the parking lot. Garza testified that Santellana never threatened him nor did he feel that Santellana was a dangerous person. Yet that did not stop him from recklessly approaching the vehicle with a loaded weapon and firing when Santellana did not obey orders from this large man in gym shorts, who did not initially identify himself as an officer or show a badge. He also put the residents of the apartment complex in danger by shooting at the moving vehicle. Garza claims that he became pinned between Santellana’s door and the car parked next to him. However, Marsteller states that Garza was never in danger from the door and it did not hit anything. Santellana pushed Marsteller’s head down to protect her from flying bullets, and that is how he got shot in the back of the head. Cope’s report goes on to describe several false statements made by Garza, as well as a critical piece of bullet evidence that was not noted or documented by police. The report also describes the ill treatment of the passenger, Kalee Marsteller, who had just witnessed her friend be murdered by the brutish Garza, and that the officer wrote her statement in his own words. “Rey Garza should be indicted for murder, manslaughter, criminally negligent homicide, and/or aggravated assault with a deadly weapon as probable cause exists. Garza was not in danger when he shot Jonathen Santellana in the back and back of the head killing him. Like most criminal homicide suspects Rey Garza has come up with an excuse. However, the forensic and credible eyewitness evidence refutes his version on the events. Furthermore, shooting a person for trying to escape a non-violent minor crime is not a defense to homicide or aggravated assault with a deadly weapon. Two years later and this killer cop is still out on the streets because a grand jury, as is the case in most instances, failed to indict Garza — in spite of the overwhelming evidence against him. Blue privilege is nothing short of a license to kill.